Pat Roach was asleep with her children in their house in Utah when she met them. Susan Ramstead was on her way to a business meeting in a Midwestern city. Dionisio Llanca was on an overnight trip in Argentina. Charles Hickson and Calvin Parker were fishing in Mississippi. Leigh Proctor was on her way home from vacation when it happened. It was during October of 1973 that all of these people shared an experience. And it was during October of 1973 that hundreds of others had the experience of a lifetime. It is unfortunate that no one realized what was happening. We can only hope that next time we'll be ready. Written by a field investigator for the Aerial Phenomena Research Organization, this classic is an astonishing account of the many UFO encounters experienced by hundreds of individuals in October of 1973. 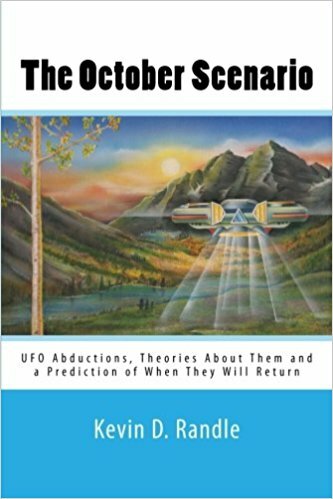 This comprehensive work describes abductions by UFOs, and suggests a theory behind the sightings. "Tremendous research... New insights into UFO abductions." Warren Smith - UFO Mysteries. "This is a theory that certainly deserves consideration. UFO flaps occur with cyclical consistency." Ralph Blum - Beyond Earth: Man's contact with UFOs. "Randle presents his controversial theory with conviction and supplements it with well documented cases." Brad Steiger - The Fellowship.